JUPITER, Fla. — Robert Kraft and his attorneys have filed a motion asking a judge to block any and all public access to evidence gathered in his solicitation case. This would include hidden camera videos of Kraft receiving alleged sexual acts at the Orchids of Asia Day Spa. Kraft's attorneys filed this motion alongside attorneys for 14 other men charged in the Jupiter spa bust. Attorneys are arguing these videos be kept from the public for several reasons. First, they argue the videos could give away active criminal intelligence and surveillance information if released. Second, they argue that since the videos haven't been provided to defense attorneys yet, the public shouldn't get them either. Third, they argue that since the cases are still pending, evidence should not be released while a case is active. The last argument, attorneys say although they dispute the idea quote “there may be a victim of any offense” in these cases, the victim should be protected from any release of any evidence. 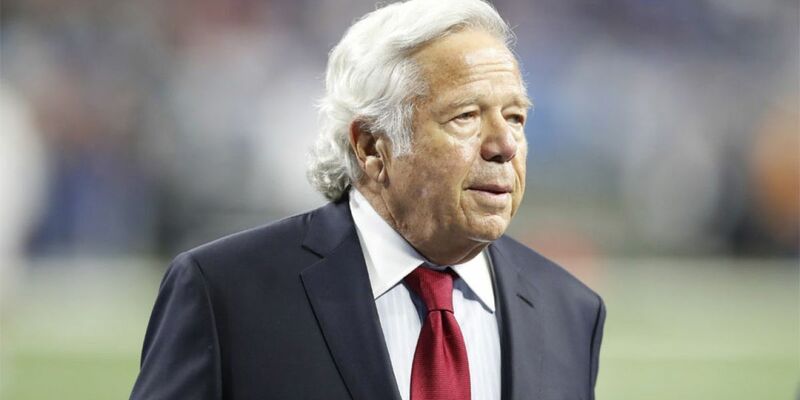 Kraft has denied any illegal activity through his lawyers. The motions were filed on the same day multiple news outlets say Kraft will not take a plea deal offered to him. Kraft also filed motions to have two high-profile attorneys, William Burck and Alexander Spiro , be able to represent him in Florida. Burck and Spiro are both lawyers with Quinn Emanuel Urquhart & Sullivan, LLP. Burck was recently involved in the confirmation battle over Supreme Court Justice Brett Kavanaugh, after being selected to review and decide which documents could be released related to his confirmation proceeding. Spiro has been involved in a number of major cases, including serving on the legal team of late Aaron Hernandez, former tight end for the New England Patriots, according to the Harvard Law Bulletin . Spiro is a graduate of Harvard Law School. Additionally, Kraft filed a motion that was approved by a judge to have the case treated as a high profile case of special interest, which allows the courts to put rules in place related to media coverage. An arraignment hearing is scheduled for March 28.